Home Announcements	THE VERY FIRST Chocolate Pudding Fruits!!! 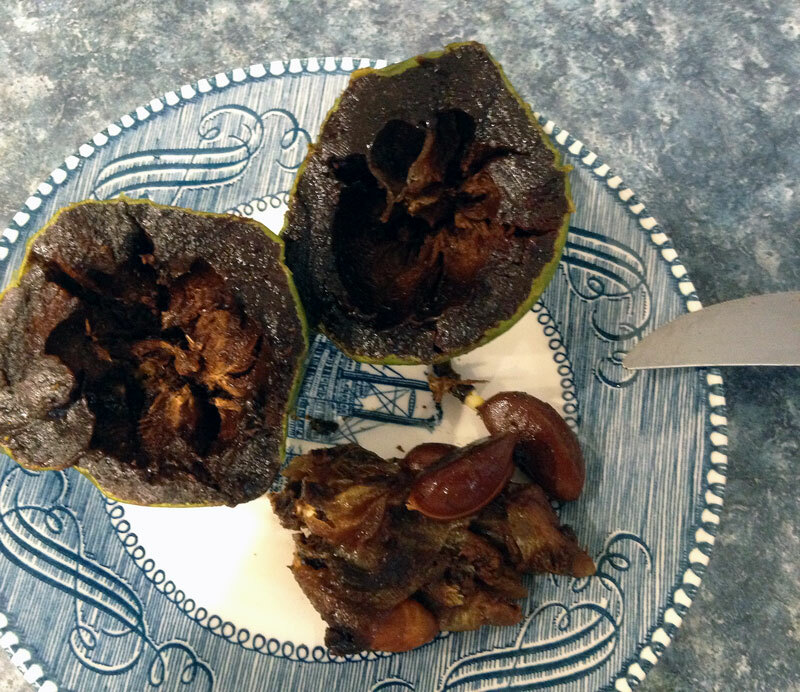 The Great South Florida Food Forest Project now has one more productive tree – the chocolate pudding fruit tree has borne for the first time! Why plant grass and boring ornamentals when you can eat delicious and exotic fruits from your backyard? Come on, Floridians, plant some fruit trees! Encore! A Second Chance to Watch for Free! And it’s now on Audible! Grow Or Die: The Audiobook! Would you sell some seeds later on? I did what I could, as English is not my mother tongue. Let me know: https://www.facebook.com/profile.php?id=100005847876870&fref=nf&pnref=story . That was really nice of you – I didn’t expect such a marvelous write-up. Your jokes are great. I sent you an email a while ago. If you didn’t get it, let me know. I need your address. I got this tree from Benders Grove in Davie South Florida, grafted. It grows well I hope next year we get some fruits too they taste great. On a scale of 1-10, ten being chocolate heaven, how do they taste? This may be something to add to my list. Your web page is known by all my friends at church who I know to be growers. It also gets linked a time or two in a couple boards where I post. One of the boards has added a garden/homesteading thread because I kept mentioning my winter garden while they are mostly stuck up in the snow. The fruit I had was like eating chocolate pudding. Incredible, with sweet persimmon undertones. The chocolate flavor doesn’t have quite the full bitter undertone of true chocolate, but it’s definitely there. I’d plant one ASAP if I had the right climate (which you do)! Thank you for the links – I appreciate it. My garden writing is now my full-time income and growing my readership provides for my family. What do they think of the acerola cherries? I’ve never tried those and the fruit has mixed reviews. They’re good. Refreshingly sweet-tart, like an acerola vitamin C.
You may be confusing them with Surinam cherries, however, which are often rough on the tastebuds. Different species. Wow, never heard of this! Growing zone? I’m in North Georgia. Zone 10, unfortunately; maybe zone 9 if you had a sheltered location.